We are committed to excellence in dermatology and have been recognized locally, nationally and internationally for our expertise and commitment to delivering quality dermatologic care in a personal manner. The providers strive to provide excellent care in a humane, compassionate and personalized manner. They enjoy the lifelong relationship that develops with patients, and feel that it is an honor to care for multiple generations in a family. Our providers specialize in the detection and treatment of skin cancer. They offer the most advanced surgical techniques, such a Mohs microscopic surgery for the treatment of aggressive skin cancers. 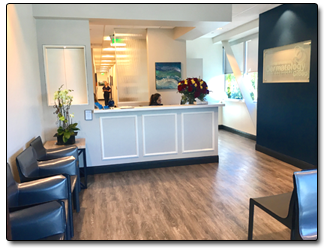 Drs Cunningham and Gigler have been recognized by their peers and been awarded the “Top Doctors” award by San Diego Magazine 2007 – 2017.